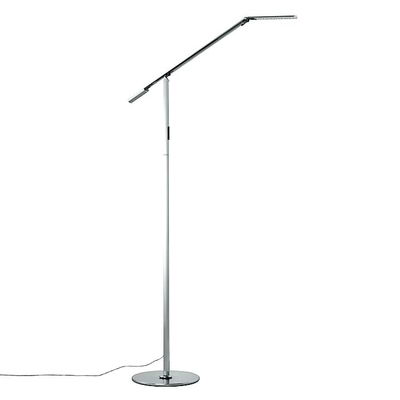 All of the exceptional styling of the Equo LED Desk Lamp in a beautiful floor lamp. 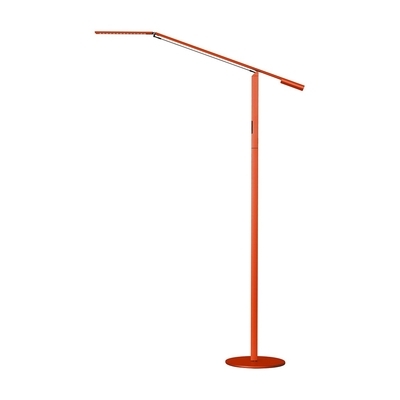 The same willowy sculpture has been extended into an LED floor lamp that has the same unique counterweight design. 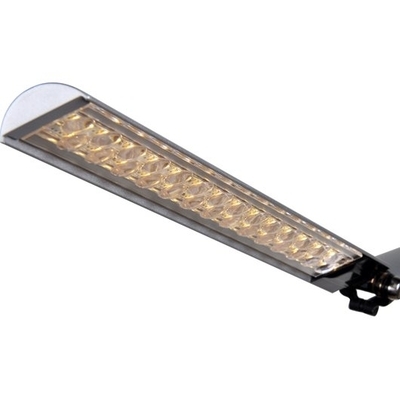 The LED head tilts and will maintain the angle you need while the floating arm balances delicately on the long floor lamp stand. A weighted base keeps the lamp stable and fixed.